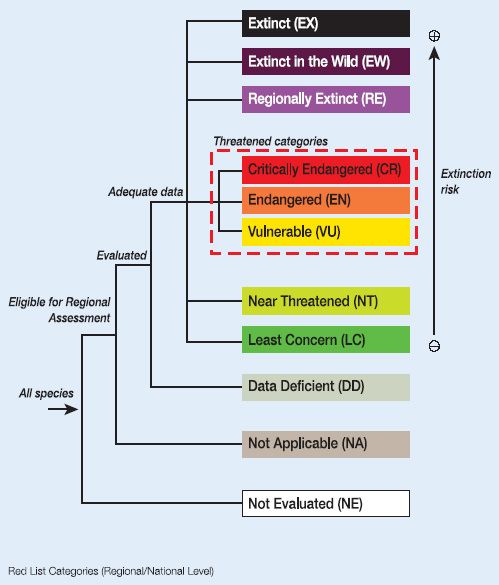 A vulnerable (VU) species is one which has been categorized by the International Union for Conservation of Nature (IUCN) as facing a high risk of endangerment in the wild. It is the third highest risk category after Critically Endangered (CR) and Endangered (EN) assigned by the IUCN Red List for wild species. . Visited 686 times, 1 visits today | Have any fisheries relevant question?